Christmas in the year 877 did not turn out as Alfred planned. One minute he was celebrating, the next his hall was overrun by screaming, violent, bloody-weaponed, pagan warriors. He escaped with his life and a small band of followers, ending up in hiding in the swamps around Athelney, in Somerset. 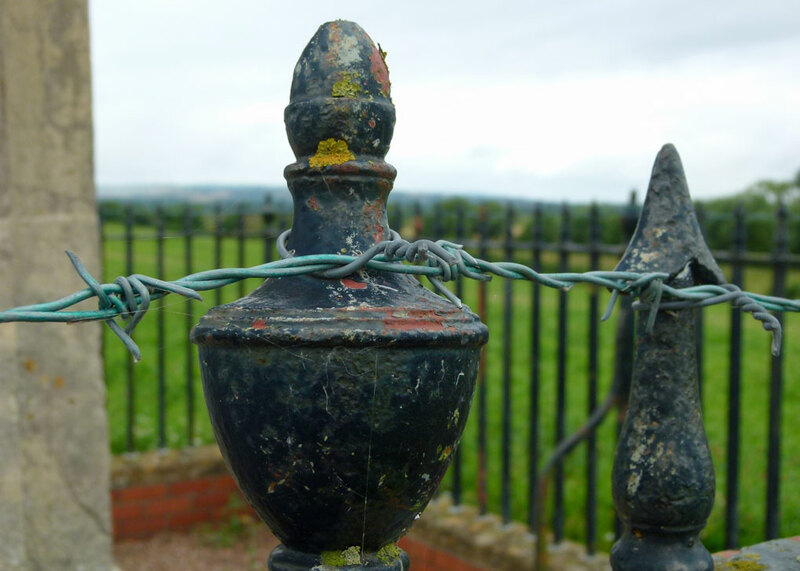 Today, Athelney is a nondescript kind of place, with nothing except an uninspiring memorial to show for the part it played in England’s history – and indeed in England’s salvation. By the 9th century, the land we call England consisted of four independent Anglo-Saxon kingdoms: Northumbria in the north, Mercia in the midlands, East Anglia in the east and Wessex in the south. Since the late 8th century, all kingdoms had been subject to violent coastal attacks from Vikings – a generic term for Scandinavian pirates who, in Britain’s case, mainly originated from what we now know as Denmark and Norway. Gradually, what had begun as seemingly haphazard raids for plunder became more regular. Some Vikings took to wintering in Britain. In 865, the Danes landed what contemporaries called the Great Army in East Anglia and, the following year, struck north. In 867, they burned York, where they are said to have performed the terrifying, gruesome, ‘blood eagle’ on the Northumbrian king, Aelle. The blood eagle was a ritual execution – though some dispute whether the Vikings practised it – in which the living victim, face down, has his ribs and lungs cut away and spread out, like eagle’s wings. The Danes installed a puppet king in Northumbria and, in 869, turned their attentions to East Anglia. Here, according to tradition, the King, Edmund, was scourged (whipped), shot full of arrows and beheaded after refusing to renounce Christ. Mercia was next to fall; in 874, its king, Burgred fled to Rome and another compliant Anglo-Saxon ruler was installed in his place, to keep the Mercians obedient. Only Wessex, ruled by its young king, Alfred, remained. Alfred knew the Danes. He and his brother had fought them – even beaten them at Ashdown, on the Berkshire downs in 871 – after which Alfred bought them off and Wessex was left in peace for five years. But in 876 a Danish army returned and made straight for Wareham, where it is thought its leaders hoped to link up with another war-band sailing up the Channel. This didn’t happen, possibly because the Danish fleet was broken up in a storm off Swanage. With the Saxons threatening them, the Danes gave hostages and pledged to leave Wessex; but they evaded Alfred’s army and slipped away to the old Roman city of Exeter. They were evidently not strong enough to give open battle, because hostages were once again given and, in the summer of 877, the Danes marched out of Exeter. Part of their army headed back into eastern Mercia, where they settled – probably in the territory that became known as the Five Boroughs, around Stamford and the shires of Lincoln, Nottingham, Derby and Leicester. With the fighting season considered to be over, the remaining Danish force, under their leader Guthrum, appeared to snuggle down for the winter in Gloucester. Alfred decided to spend at least part of the Christmas Feast just 30 miles away from them, at the royal estate of Chippenham, in Wiltshire. But Guthrum had a cunning plan. He waited until after Twelfth Night to go onto the offensive, riding his battle-hardened veterans across the wintery landscape to Chippenham, and striking the Saxons when they were least expecting. Surprise must have been total; perhaps the outer defences at Chippenham were infiltrated by stealth; perhaps someone was negligent; perhaps some of the defenders were drunk; almost certainly, most were ill-prepared and had little opportunity to gather weapons and mount a meaningful resistance. The Danes’ timing, attacking on a known feast day, must have been intentional; perhaps they had also hoped to capture the king and perform the blood eagle on him. In any event, their assault succeeded in winning plunder, especially stocks of much-needed provisions, as well as securing a base from which to ‘ride over’ Wessex, terrifying its people into submission. Some West Saxons, maybe even including men of position, did indeed submit; some fled overseas. Alfred, as we said, fell back to the southwest, accompanied by a small group of loyal followers, to Athelney. Athelney means something like ‘island of the princes’ (æthelings) – it sounds as though it may have been a royal estate and Alfred was possibly familiar with it from his youth. Athelney Hill, the Isle of Athelney, is a natural island in the low-lying Somerset levels. In Alfred’s time, it was surrounded by reeds, woods and scrub, a landscape that changed rapidly from dry land or marsh, to a series of lakes and waterways, depending on the weather. 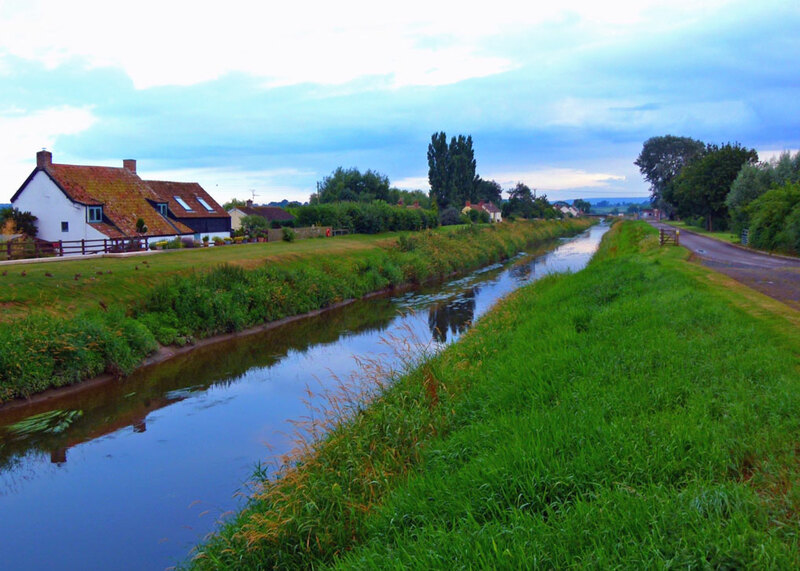 Even today, this part of West Somerset is prone to devastating flooding. Back then, reliable navigation through the soggy paths and flooded channels was impossible without local knowledge, and people depended upon punts, or crude rafts, to reach their destinations safely. So, almost impenetrable and abundant with wildlife, Athelney was an ideal place from which to regroup, and launch hit-and-run attacks on the enemy – which Alfred did. Somewhere on the island, it is thought on the western side, and possibly on the site of an older Iron Age fort, the fugitives constructed their stronghold. It would have been a very modest timber and wattle affair, just large enough for perhaps a couple of hundred very close supporters, family and troops, and probably enclosed by a palisade and ditch. Somehow, we don’t know how, from his humble base in Athelney Alfred managed to pull together a force powerful enough to meet, and defeat, Guthrum in open battle. He obviously had, or created, a very effective clandestine network, capable of identifying supporters of resistance in other parts of Wessex that were under Danish control, such as Wiltshire and Hampshire, and then liaising with them. 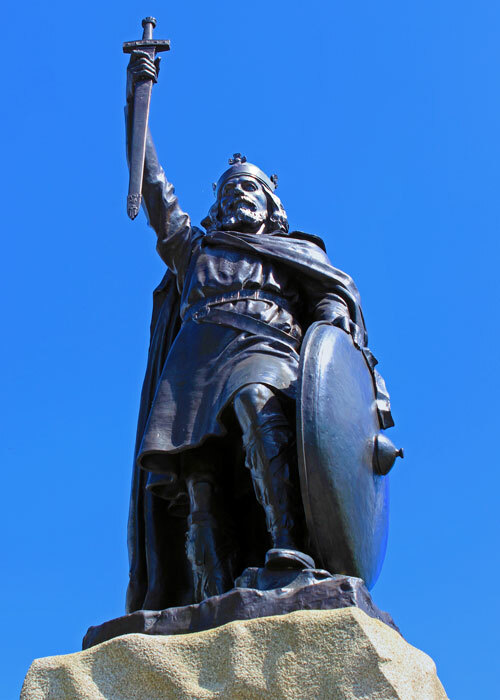 One piece of helpful news was that another Viking army, sailing from Wales and commanded by Guthrum’s ally, Ubba, possibly part of an attempted pincer movement against Alfred, was met by the men of Devon under Ealdorman Odda at Cynwit – probably Countisbury Hill near Lynton and Lynmouth. There, Ubba was killed and his force so badly mauled as to neutralise it. By May, Alfred was ready. Messages went out to rendezvous forces at the enigmatic Egbert’s Stone, deep inside Wessex. The detail of what happened next belongs to another story, but the upshot was a great battle, the Battle of Edington (Ethandune), where Guthrum’s Danes were resoundingly beaten. The resulting deal struck with Guthrum included his conversion to Christianity (he was baptised in the church at Aller, near Athelney), the ejection of him and his men from Wessex (they settled in East Anglia) and Alfred’s formal recognition of the Danes’ presence in northern and eastern England, for practical purposes partitioning the land into separate areas of English and Danish law. The effect of all this on language, customs, place names – and the history of the future state of England, was profound. You can trace the area of Danelaw today by place names – towns and villages ending in “-by”, “-thwaite” or “-thorpe”, for example, were once Danish (or Norse). Alfred ruled for another twenty years and went on to earn the epithet ‘Great’ – the only English king to do so. Ultimately, as we know, and with more pain along the way – because there were many more battles to follow – the Anglo-Danes came together; but that too is another story. The fact is though, that the story could have been such a very different one. If Alfred had given up, like the king of Mercia, if he hadn’t consolidated his position and planned his counter-attack at Athelney, and if he hadn’t ultimately succeeded, then, very simply, the English-speaking world would not exist. The above is a translation into a Somerset dialect from a later version of Bishop Asser’s Life of Alfred, originally written in Latin in 893. In fact, the story is a 16th century addition made by Bishop Parker, who had found it in the 12th century Annals of St Neots, which were based on a 10th or 11th century Life of St Neot – and before that, who knows? In some versions, the herdsman’s wife beats the king. 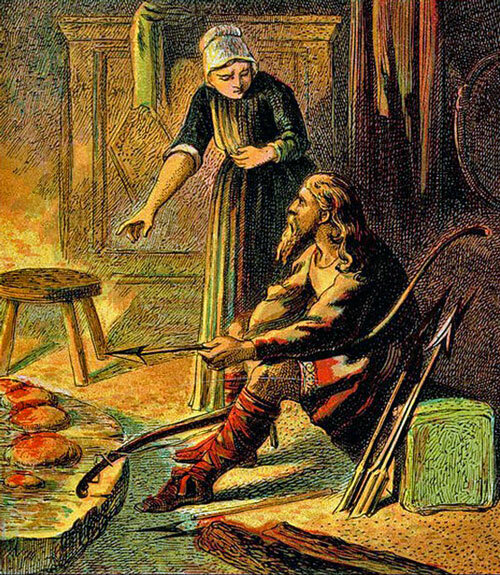 It has also been claimed that the story was stolen from a Norse saga extolling the virtues of a legendary Danish Viking who gloried in the name Ragnar Hairybreeks, who was allegedly so busy ogling his future wife that he allowed some loaves she was baking to burn. Be that as it may, the tale of Alfred and the cakes is part of Britain’s mythology, like the tale of Bruce and the spider. It sits well with how we sometimes like to see ourselves: backs against the wall; noble, but human, essentially humble and decent; strength in adversity; against all odds, ultimately victorious; finest hour – and so on. Athelney is part of that same modest, deep-down bursting with pride, narrative. Could this be why you won’t find it mentioned in too many guidebooks? Or is it simply because there’s nothing much to see? You know I wouldn’t want you to make a special trip, under false anticipation, as it were. No, the only reference to Alfred and the events of 878 at Athelney is Alfred’s monument, an ugly obelisk erected in 1801. Of course, I went there, parking up in a small lay-by on Cuts Road, west of Athelney Bridge over the River Tone. There wasn’t a soul about; the only sign of life (kind of) was actually a dead rat lying on the tarmac opposite. You may read that the monument isn’t generally accessible to the public but, when it comes to tracking down heritage, A Bit About Britain is made of sterner stuff. Besides, there’s a sign pointing to it and, despite wrestling briefly with a slightly dodgy gate from which an upside-down sign warned of 24-hour security, I pressed on up the gentle slope past Athelney Farm. Once upon a time, there would have been quite a lot to see here. After his success against Guthrum, Alfred founded a monastery at Althelney. In the 12th century, William of Malmesbury described its church as having a unique structure, being centrally planned with four apses (semi-circular bits at the end of churches – so this suggests a cruciform shape with an apse at each end). There are further references to the monastery in later years and it is believed to have remained in use until its dissolution in 1539. 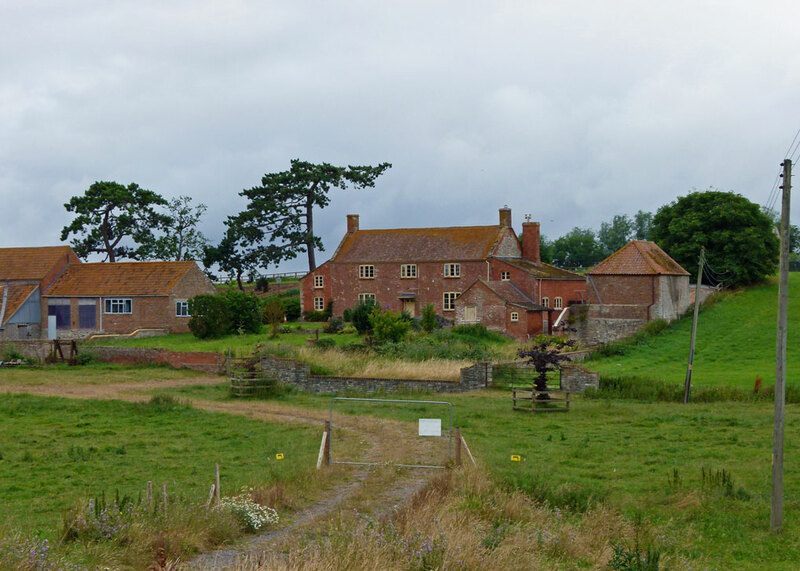 The buildings are recorded as being derelict by the late 17th century, some of the stone being used to construct the farm. Now there is no visible evidence of Anglo-Saxon occupation at Athelney – abbey or fort – except beneath the soil. There is mention of remains, human and masonry, probably later medieval, being found; and a geophysical survey in 1993 confirmed the location of the medieval church and also detected the presence of other ancillary buildings. When the obelisk was restored in 1985, two medieval floor layers were uncovered, one of them tiled. 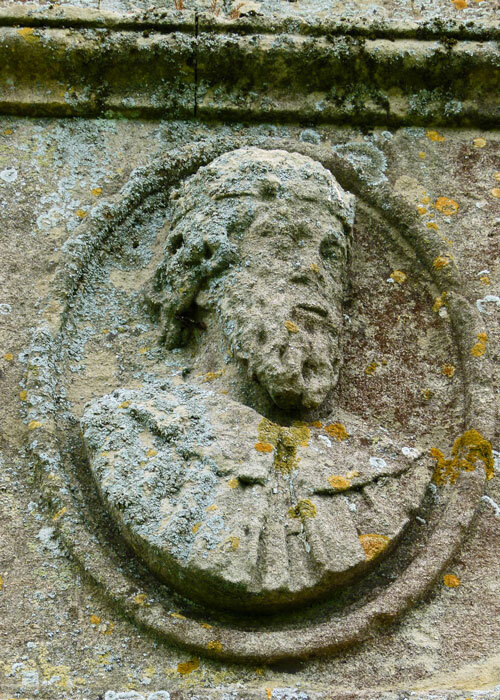 KING ALFRED THE GREAT IN THE YEAR OF OUR LORD 879 HAVING BEEN DEFEATED BY THE DANES FLED FOR REFUGE TO THE FOREST OF ATHELNEY WHERE HE LAY CONCEALED FROM HIS ENEMIES FOR THE SPACE OF A WHOLE YEAR. HE SOON AFTER REGAINED POSSESSION OF HIS THRONE. 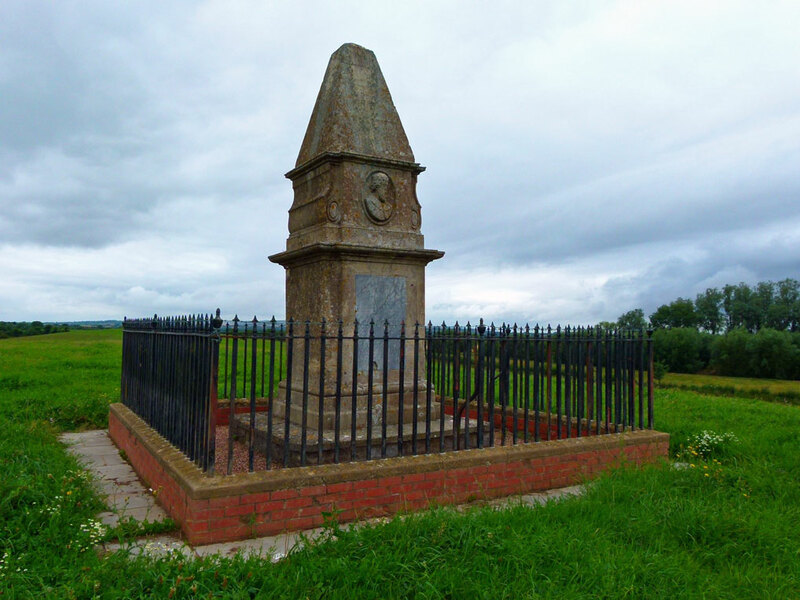 IN GRATEFUL REMEMBRANCE OF THE PROTECTION HE HAD PROVIDED UNDER THE FAVOUR OF HEAVEN, ERECTED A MONASTERY ON THIS SPOT & ENDOWED IT WITH ALL THE LANDS CONTAINED WITHIN THE ISLE OF ATHELNEY, TO PERPETUATE THE MEMORIAL OF SO REMARKABLE AN INCIDENT. IN THE LIFE OF THAT INDUSTRIOUS PRINCE THIS EDIFICE WAS FOUNDED BY JOHN SLADE ESQ. OF MANSEL, THE PROPRIETOR OF ATHELNEY FARM & LORD OF THE MANOR OF NORTH PETHERTON. A.D. 1801. Which brings us to something else woven into the tapestry of Athelney: the very special Alfred Jewel. Thought to be an aestel, or pointer, used to follow the text in a gospel book, this beautiful piece of gold and enamel craftsmanship was found in a field in North Petherton, just a few miles from Althelney, in 1693. In lettering around the jewel are the words AELFRED MEC HEHT GEWYRCAN – ‘Alfred ordered me to be made’. No one has ever doubted that the sponsor of the piece was Alfred. My fantasy is that he gave it to a trusted companion hiding with him in the marsh, and that the owner lost it when trying to get a message out to a supporter. It is unlikely, but a nice idea. Whoever lost it, I wonder if they told the king? The Alfred Jewel has been held by the Ashmolean Museum in Oxford since 1718 and, since childhood, I have always wanted to see it, this piece of Anglo-Saxon bling so bound up with the birth of our nation. I recently had the opportunity to do so – hence the blurred photo (I was probably shaking with emotion). This part of Somerset is packed with fascinating pieces of Britain’s heritage jigsaw, but it is worth mentioning one more thing before we wrap this piece up; Burrow Mump. Burrow Mump is another hill, little over a mile to the northwest of Athelney. It has a ruined church on it and its own story to tell, but is sometimes known as King Alfred’s Fort. There is no evidence that Alfred used it as such, but it was once owned by Athelney Abbey and commands such spectacular views over the levels that it would be strange if he hadn’t used it as a lookout. I have just come across your work, which I enjoyed reading – I was born in my parents house in Athelney and my family still live there. It does have a charm of its own especially in summer when the trees and bushes are full and green you can sit by the ditches and believe that you are in the time of Alfred – as long as you block out the sound of the vehicles! I think when you visited, looking at your pictures, work was still being carried out to help with the terrible flooding we had a few years ago. It is now returning to its green and natural charm. A lovely place to just sit and ponder. Thanks, Anne. I don’t know the area well, but it has always fascinated me – and it does have an almost other-worldly-beauty. I grew up being intrigued by Alfred, and what direction we would have taken without him. A piece of British history that we don’t hear about here! Many thanks for this fantastic piece about one of my heroes. By the way, how do you find time to do anything else? As Berkshire born, I’ve always felt close to Alfred through his birthplace at Wantage and the Berkshire Downs. It’s sad most school children only know of him and the unlikely ‘burnt cakes’ legend. In G.K.Chesterton’s words in ‘The Ballad of the White Horse’ (at Uffington), Alfred was ‘Alfred the Wise, and the Good, and the Great’, and deservedly so. He was ‘Great’ not just in battle but also in the wise way that he reigned in Wessex. Thanks, Richard; Alfred’s been a hero of mine ever since I read the Ladybird book…I’m pretty much full-time on this project at the moment. Nice detailed history and photos. Enjoyed watching The Last Kingdom on TV last year based on Bernard Cornwell’s books about Wessex during that period. Didn’t know a lot about it before then apart from burnt cakes/ scones. Cornwell’s books are great – some of the best historical fiction around. I didn’t get on that well with the TV adaptation, though the imagery was superb. Heart-stirring stuff, Mike – thank-you for this excellent post. I had never heard of the gruesome blood eagle; how horrible! Living in East Anglia we know a lot about Saint and King Edmund but I did study Alfred at school which I am sure young people today don’t do. I used to live at Bradford-on-Tone but never visited Athelney. Talk about an unsung hero! Alfred is certainly one of those. Of course, we across the pond barely know who our first president was, so knowing about Alfred and his bravery that saved what later became our heritage and our language is a bit much to expect. 🙂 Fascinating story to read. After reading your post on Greyfriar’s I did a bit of research on Queen Isabella. What a woman she was. I want to know more about her. Wishing you a Merry Christmas and a 2018 filled with more interesting posts from Britain. Oh yes, I believe Isabella was quite a character! It must take you forever to write these posts! They are so full of information and tidbits–fascinating stuff! Thanks, Kerry, you have no idea how much I appreciate that thought! I’m a pretty slow writer anyway, but the research takes ages sometimes too, even when I know the background. That’s very flattering, Mac; thank you! The Alfred Jewel is gorgeous. I can see why you were shaking, though the picture is steadier than you lead us to believe! I always enjoy these tours and learn so much. My winter goal is to brush up on England, hoping to get there in 2018! Your blog will play a key role in that! Thanks, Jeanie. Well, let me know if I can help with your itinerary! The Alfred Jewel is my favourite object in the Ashmolean Museum – I always make a bee-line for it when we are in Oxford. Are you watching the wonderful BBC4 programme about Invasion and Migration into Britain. Apparently most of us have 70% of our genes from ‘Beaker’ people who came from Siberia, and not as many of us may have assumed from Celts or Anglo Saxons! How have I missed that?! Exactly my kind of thing. I blame the seasonal decorating project..! You can get it on iplayer if you are interested – we have really enjoyed it – the third and last episode was last night. BBC4 Invasion. Wonderful story, beautifully written, thank you for helping me to understand this bit of our history. Thanks, Jackie, that’s very kind! Mike I sent the following to a friend on Facebook: Angie Nudge Joan, I read this post http://bitaboutbritain.com/was-england-born-in-athelney/ and immediately afterward went to my Joan Wolf collection and pulled down The Edge of Light to reread. A favorite after Road to Avalon. Both so good. Thank you again. Thanks, Angie!! I should look up Joan Wolf – love this period in history. I’m glad you got to see your Alfred Jewel. You say there isn’t much to see in Athelney, except those charming scenes of houses in your photographs! Very pretty. And a fascinating story. My favourite time in history! Great post Mike. This is interesting. I remember seeing a movie about Alfred and his loyal followers and I remember them wandering around on wet reedy land. I can’t for the life of me remember the name of the movie though. I’ve passed that statue many a time. You had a great day for the photo. According to a friend of mine who lives in Winchester and has photographed it often, it’s not easy to get a good photo. I’ve seen it several times, but this one’s via Pixabay. Is that the statue in Winchester? Very jealous that we have seen the Alfred Jewel…what a living link with Alfred. That’s definitely the Winchester one. The one at Wantage, his birthplace, is stone. Yes, that’s the Winchester one. If you hover your cursor over photos on A Bit About Britain, most of them have a magic caption that appears…doesn’t work with some mobile devices, unfortunately. Must confess, I got very excited about the Alfred Jewel!